The following is a list of regular classes, workshops and special events where I will be teaching. Please contact the organiser directly or email me for more information. The fourth Wednesday of every month at Post Office Patchwork, Glenbrook. 10am to 4pm. Choice of all the Jane Austen Quilt Collection and other work from my portfolio. The first Thursday of every month at Hobbysew, Kings Park. 10am to 4pm. The fourth Thursday of every month at The Stitcher’s Cupboard, Camden. 10am to 4pm. Work on any projects from my portfolio. The second and third Friday of every month at The Stitchers’ Cupboard, Camden. 10am to 4pm. Choose from my portfolio. The first Saturday of every month at Hobbysew Kings Park. 10am to 4pm. Choose from my portfolio. The second and third Saturdays of every month at The Stitchers’ Cupboard, Camden. 10am to 4pm. Choose from my portfolio, particularly my Jane Austen Quilt Collection. 22nd – 25th February 2019: Retreat for The Quilting Room in Adelaide teaching “Highbury”. 28th June – 1st July 2019: Retreat for the Quilting Room in Adelaide teaching Machine Pieced Quilts. 8th – 13th July 2019: Teaching at the Craft Creations Retreat for Needlework Tours and Cruises at Wahroonga, Sydney, teaching “Pemberley” and “Wentworth”. 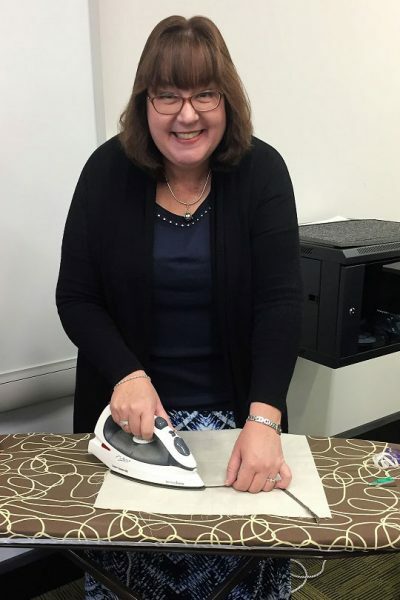 20th – 21st August 2019: Teaching at Quilt Essentials Adamstown, near Newcastle, NSW. 18th – 20th October 2019: Teaching at the Galong Patchwork Retreat, NSW. 30th November – 1st December 2019: Teaching for the Kilmore Quilters in Melbourne, Victoria teaching “Donwell Abby”.